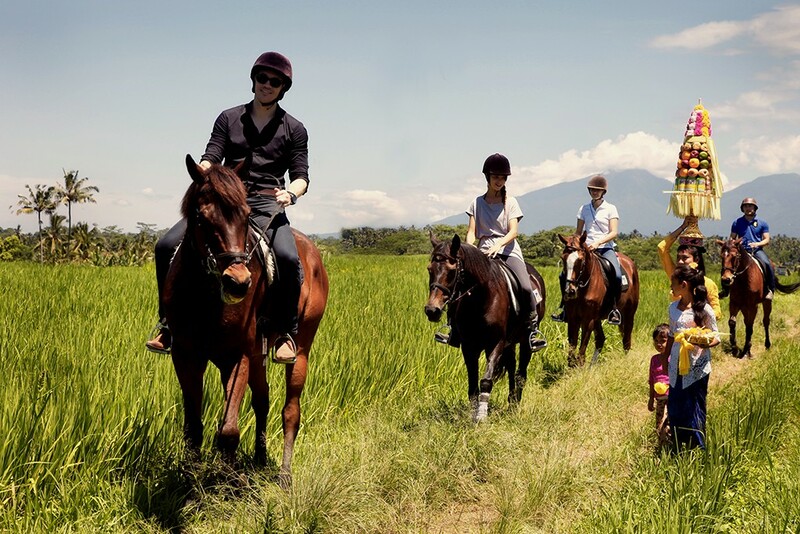 Bali Horse riding is the only activities that provide experience that is never forgotten in your holiday on the island of Bali. 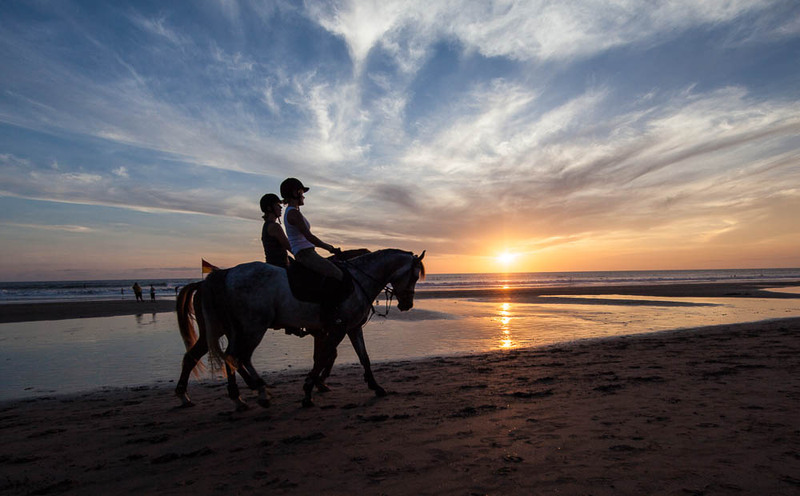 Horse riding at sunrise or sunset is the perfect time to do these activities. 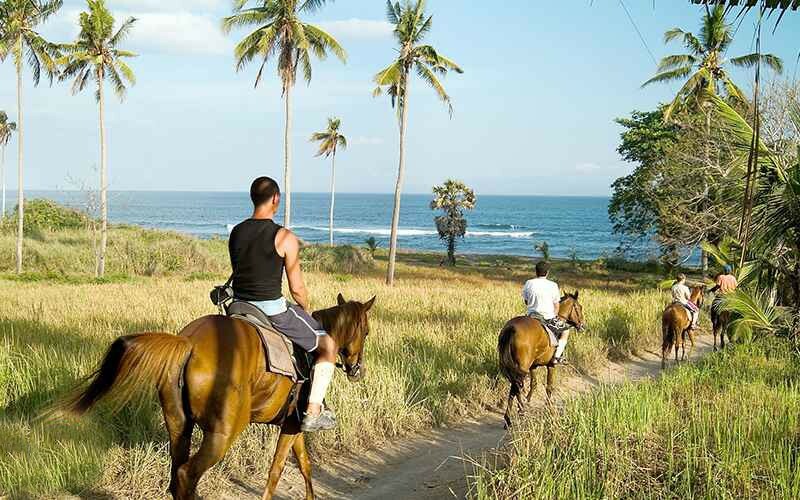 A natural Balinese experience with a mystic ride, on seemingly endless sparkling beach The Stables are located on the coast, at the Seaside village of Yeh Gangga, just west of most photographed and one of Bali's most sacred places, Tanah Lot. The scenery is beautiful in this peaceful village, where rice farming, fishing and sea salt harvesting are the main activities. There are several companies that doing horse riding activities, Please do not hesitate to contact us if you need more information about the other one. What the activities look like? You can do activities horseback riding in the morning or in the afternoon. 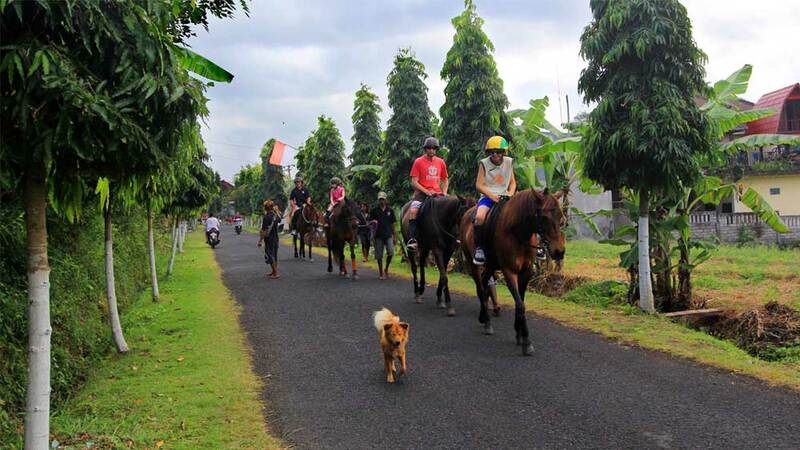 The driver of this company will pick you up directly from the hotel lobby where you stay, spent about 1 hour drive from Ngurah Rai airport to the location of the horse riding. Upon arriving there, you will be given a little information about what should be done and what should not be done. If you are experienced you can ride a horse alone, but if you have not experienced one will lead your horse. Duration of activities is horseback riding about 2 hours, which is where you will be pampered with this a very pleasant experience. Approximately 30% of this activities you will do in the countryside, where you can see the life Balinese people more closely, besides it also you will see a very beautiful panorama of rice fields. 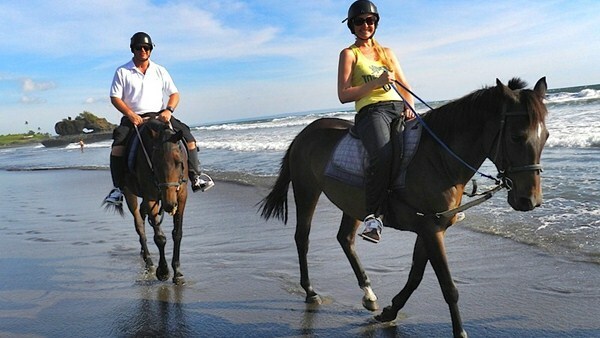 The horseback riding on the beach is a memorable experience, besides its beautiful beaches and fresh air, horseback riding on the beach will make more memorable think in your holiday on the island of Bali. You will cross a river this depth is depending by the low tide and high tide of sea water, because the river would wade right in the mouth of the sea. in a state of high tides the river is quite stressful as well for crossing it. 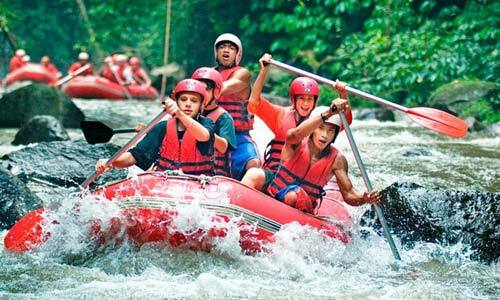 Bali temple was scattered in various directions including at the sea, in these activities you will see it in close to. Near the temple there is a cave, you can take rest a while to capture the moment by take pictures.